Have you had time during Advent to wait for the Lord in silence? Have you had quiet time for studying God’s Word, praying and preparing yourself? This year, Christmas Eve is on a Sunday, so we are robbed of the week of Advent IV. Christmas Eve will be the fourth Sunday in Advent, so all of Advent is being shoved into three weeks! And most of us can’t complete our Christmas preparations without stress and anxiety when we have four weeks of Advent! How has your Advent gone? Are you behind in your shopping? Have you completed your Christmas cards and mailed them, or are you at the point where something will have to give, so maybe there won’t be cards mailed this year? Are you at peace and going about your business this last week of Advent in a relaxed and intentional manner, or are you a CRAZY person, rushing here and there, making yourself and everyone else unhappy? Most of us are probably somewhere in-between — not CRAZY but not as “together” as we usually are a few days before Christmas. One of the “gifts” many have received through our NALC Life-to-Life Discipleship initiative is the recovery or discovery of “quiet time” with the Word of God, Jesus Christ and in the Word. This is what is squeezed out of most lives when we believe we are overworked, over-scheduled and over-committed. Martin Luther is quoted as saying, “If I fail to spend two hours in prayer each morning, the devil gets the victory through the day. I have so much business I cannot get on without spending three hours daily in prayer.” These last few days before Christmas, receive the gift of at least a few minutes in silence, waiting for the Lord, trusting in him, pouring out your heart before him! 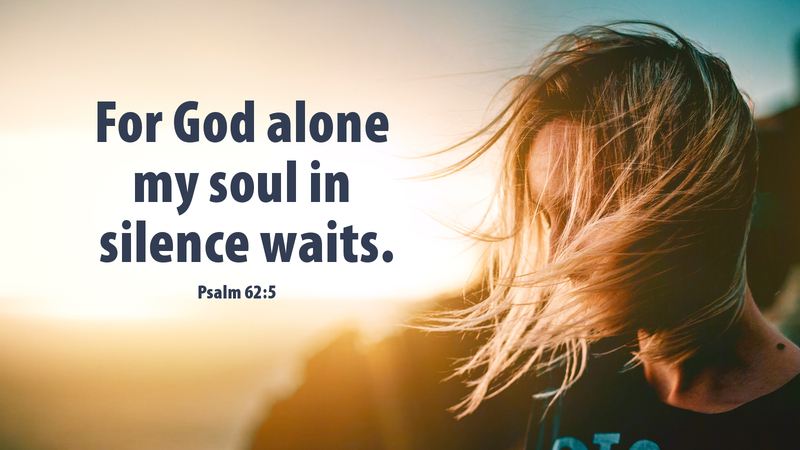 Prayer: Lord, in the midst of my busy life, my soul waits in silence for you. Amen. Advent Action: Give yourself the gift of a few moments of silent waiting for the Lord! I enjoy both the Lenten and Advent devotion links being sent to my iPhone. In this ever busy world we live in, these text messages break through all the noise and distractions of the day to call me to prayer and meditation. Why don’t we receive these text messages for the NALC daily devotion throughout the rest of the year? Is this something that has been/is available that I somehow have missed signing up for?